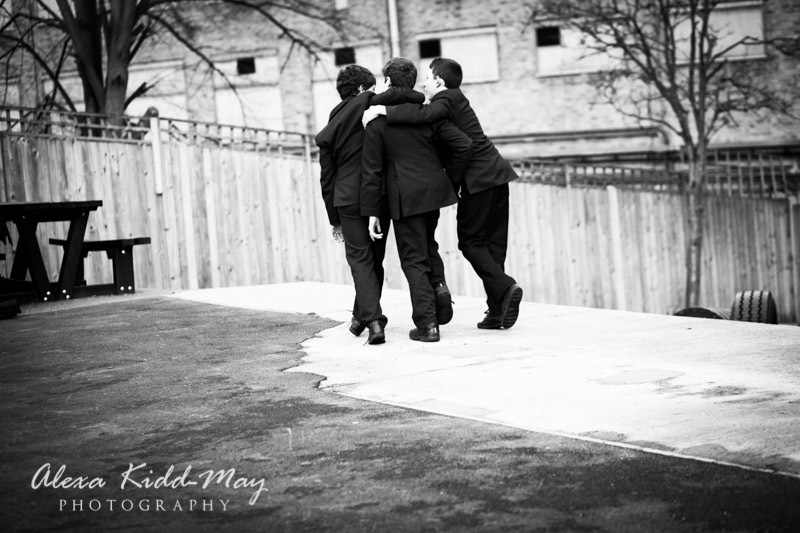 Posted February 28th, 2015 by alexa & filed under Families. 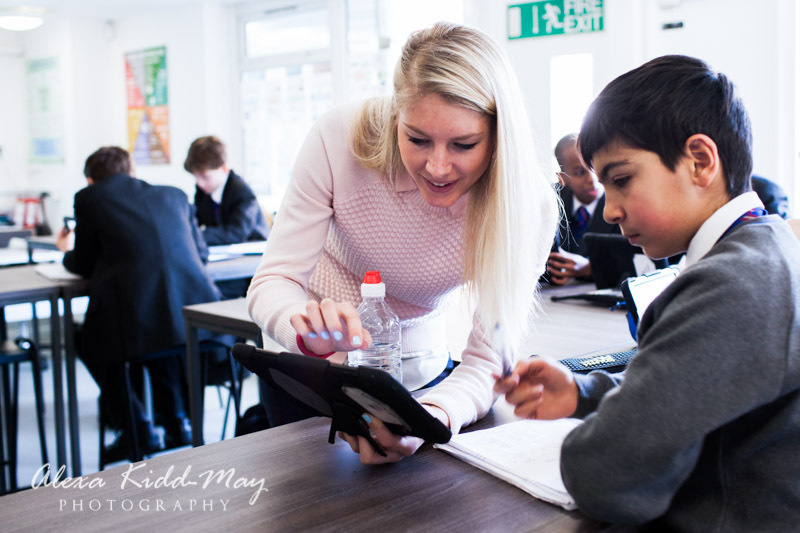 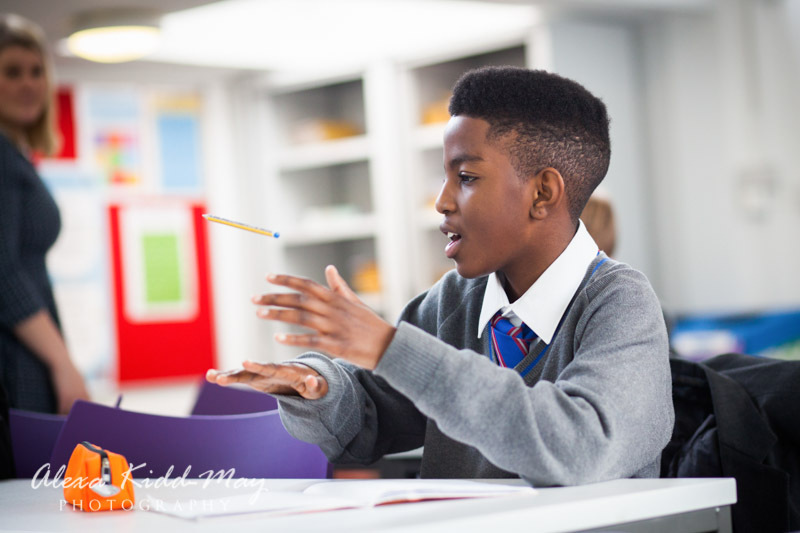 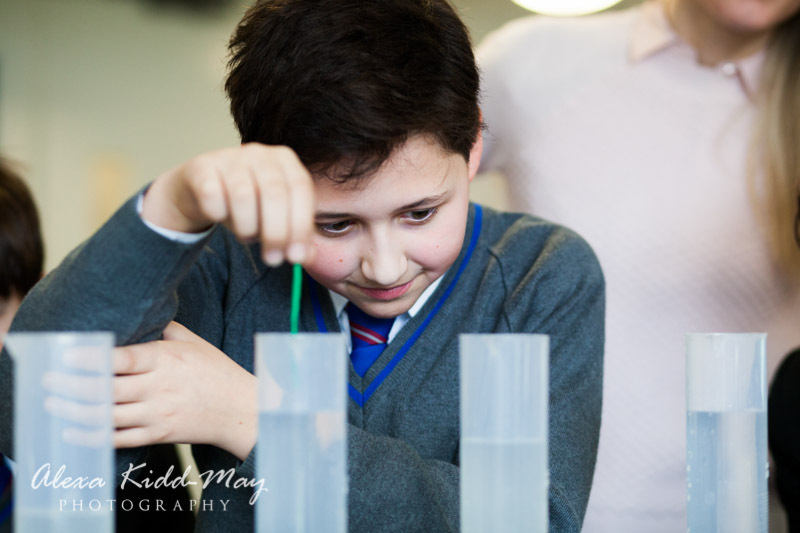 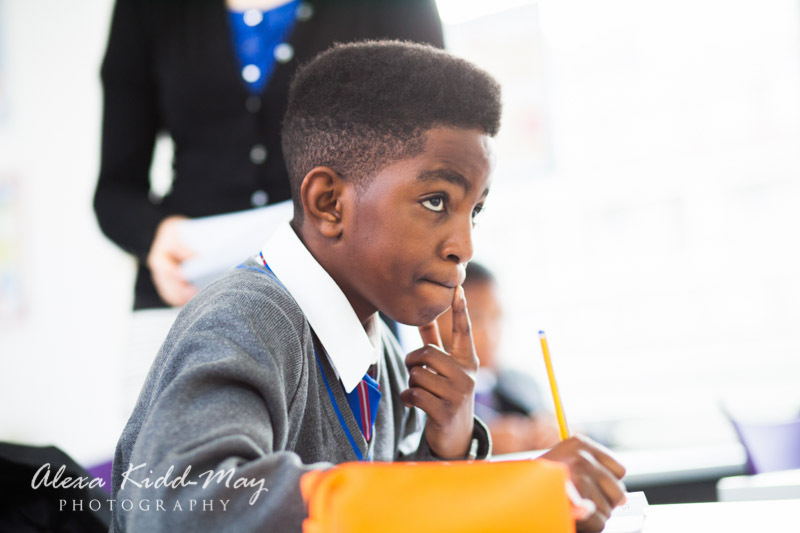 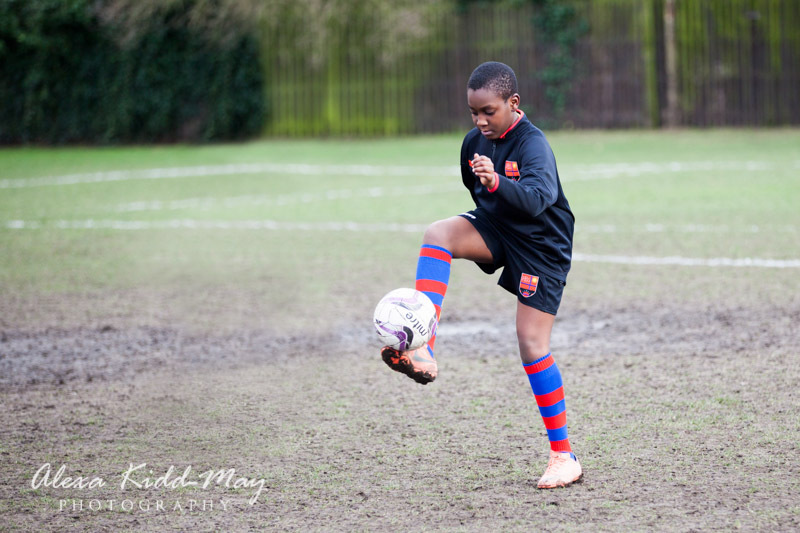 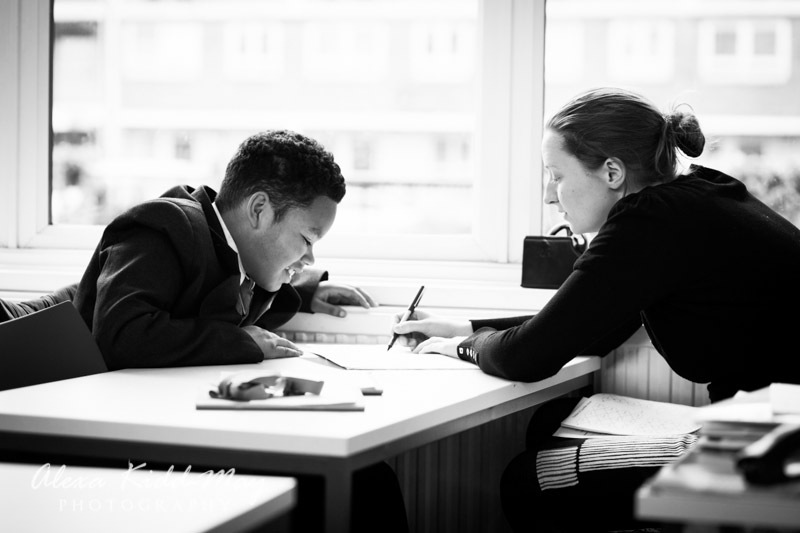 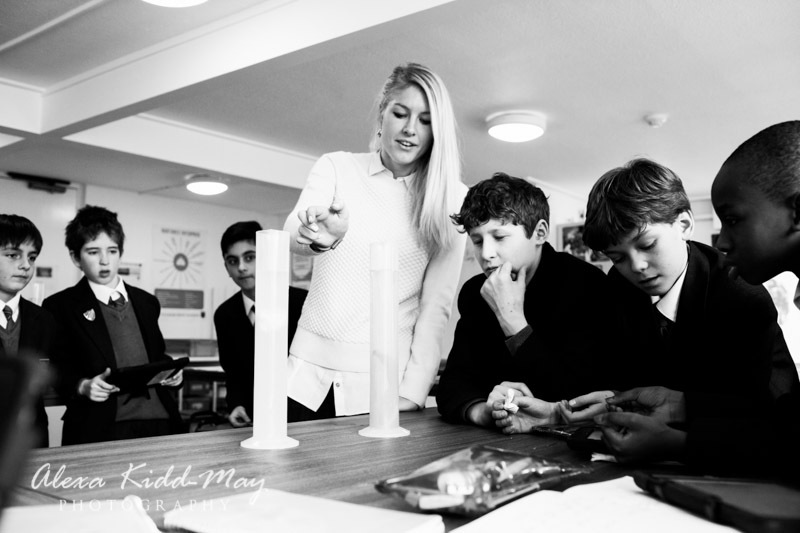 Recently I was invited to spend the day as a London Schools Photographer at Fulham Boys School. 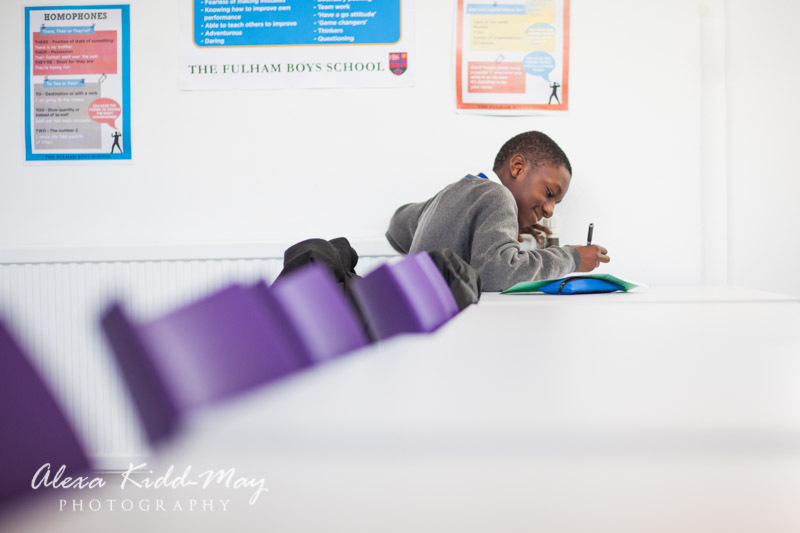 This secondary school is brand new and situated in South West London. 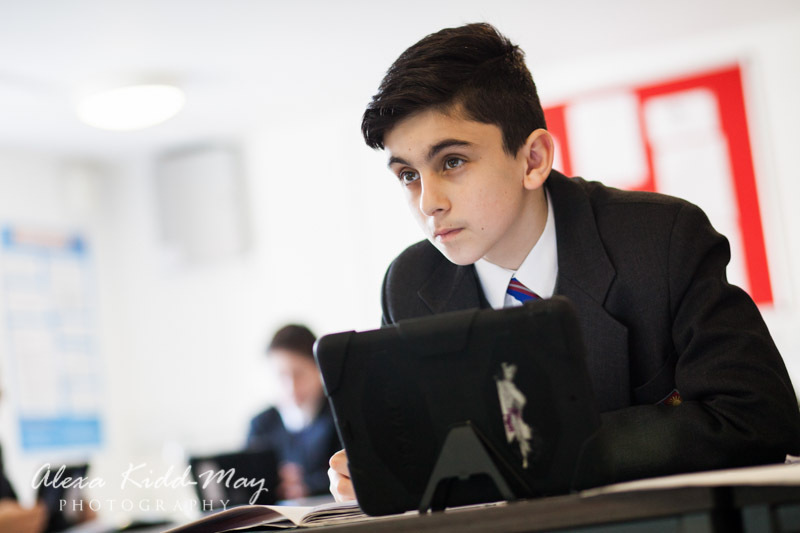 The school opened last September and is already going from strength to strength. 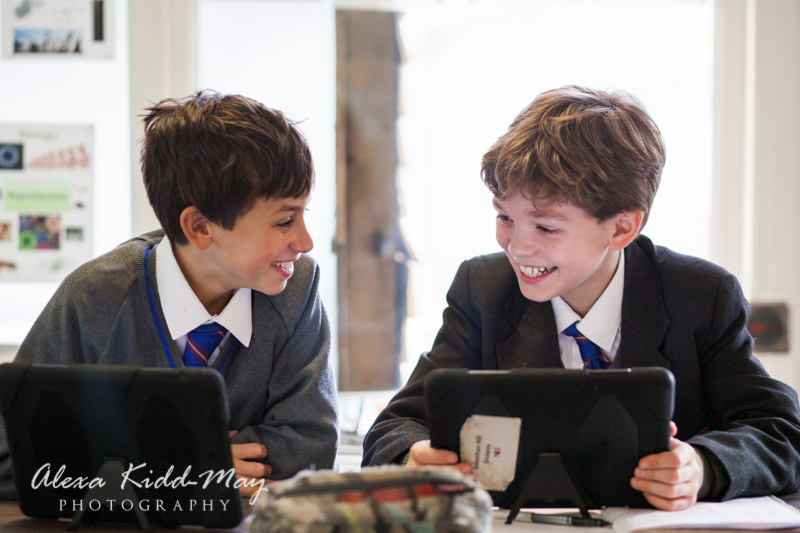 They wanted some new photographs of the boys and teachers to update their website and prospectus. 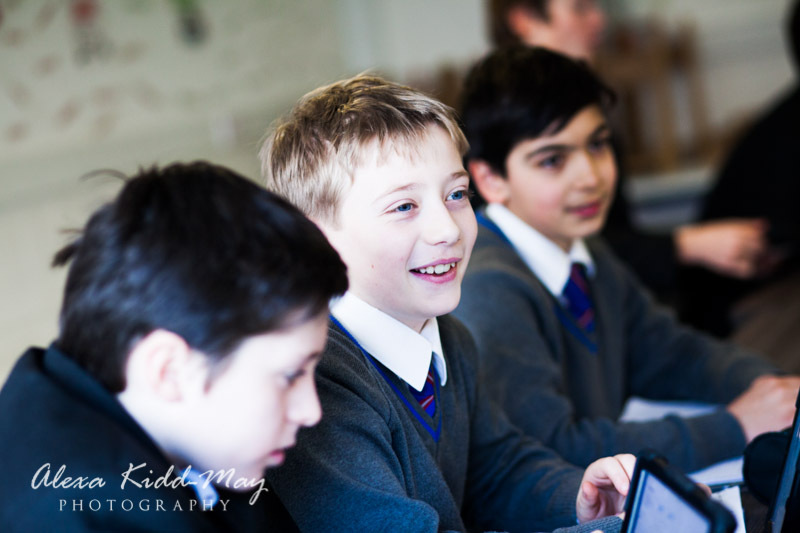 As it is a new school they also wanted to build up their portfolio of images that they could use for many different purposes. 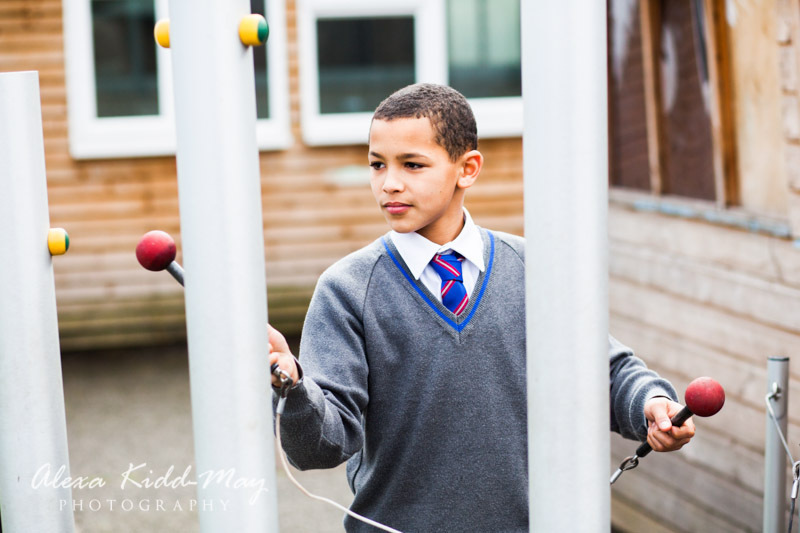 The images would be used for social media, posters around the school and banners for outside. 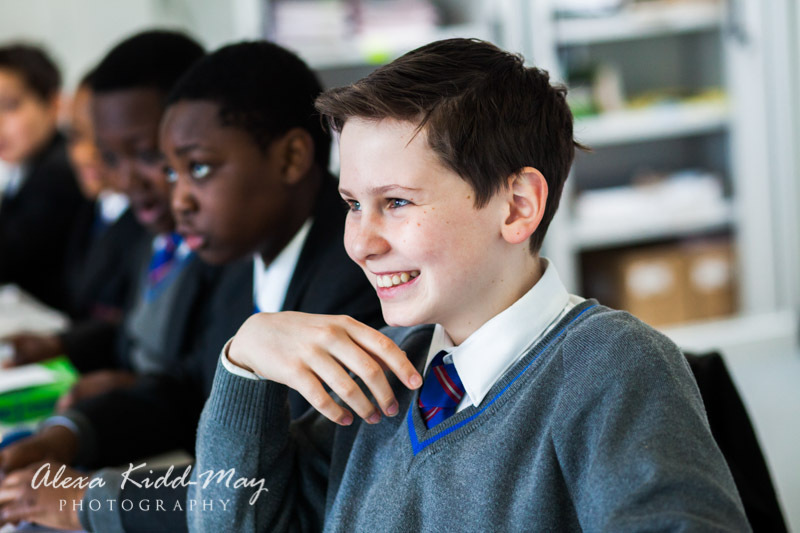 My immediate impression of the school was of a very calm and supportive learning environment. 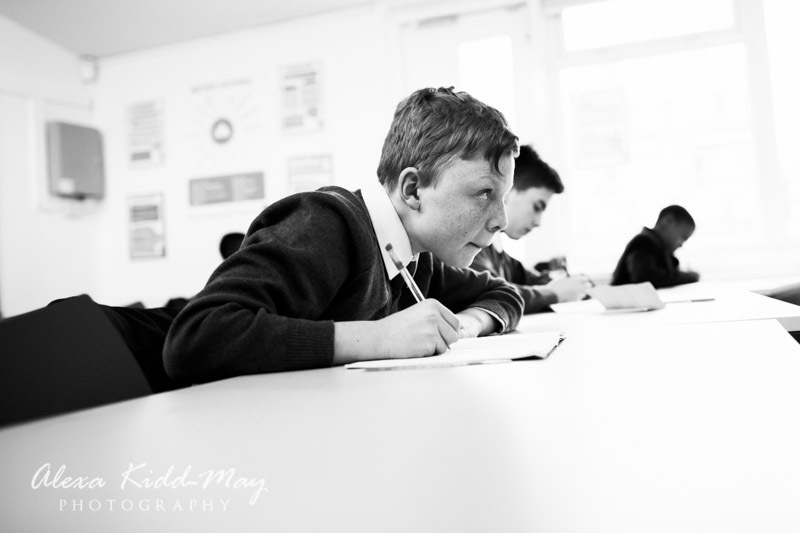 That was reinforced as I made my way between the various classrooms watching the boys learn a wide range of subjects. 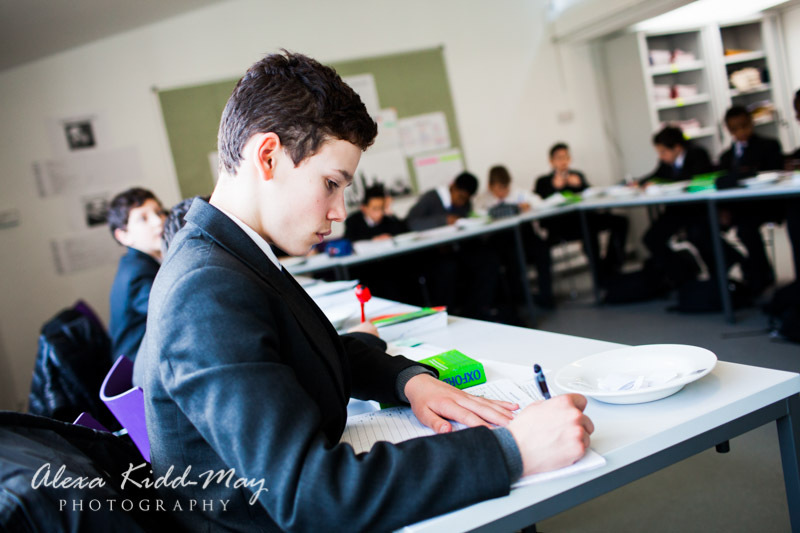 I was able to get some photographs of the pupils as they concentrated on their lessons. 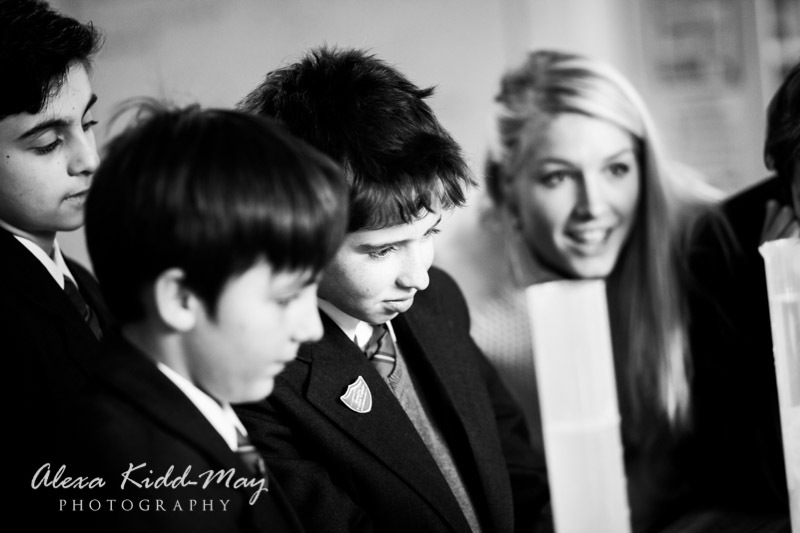 I also captured images with good interaction from the teachers. 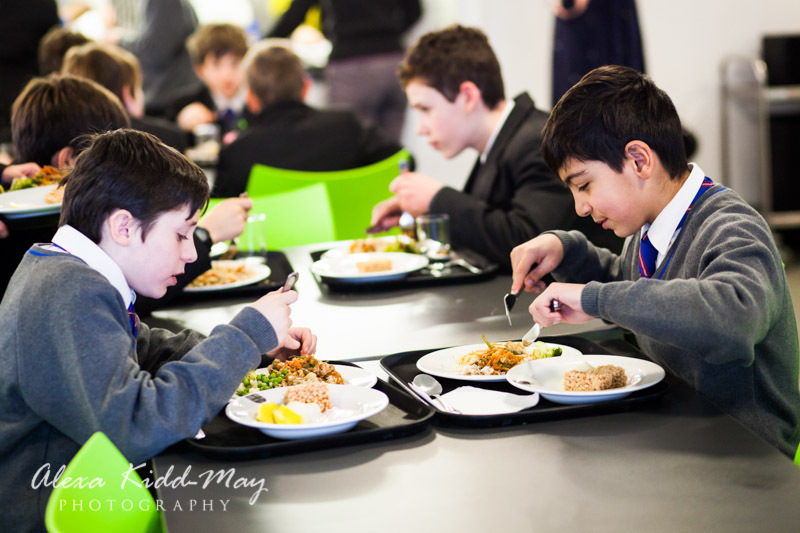 Lunchtime was another highlight – the quality of the food was fantastic! 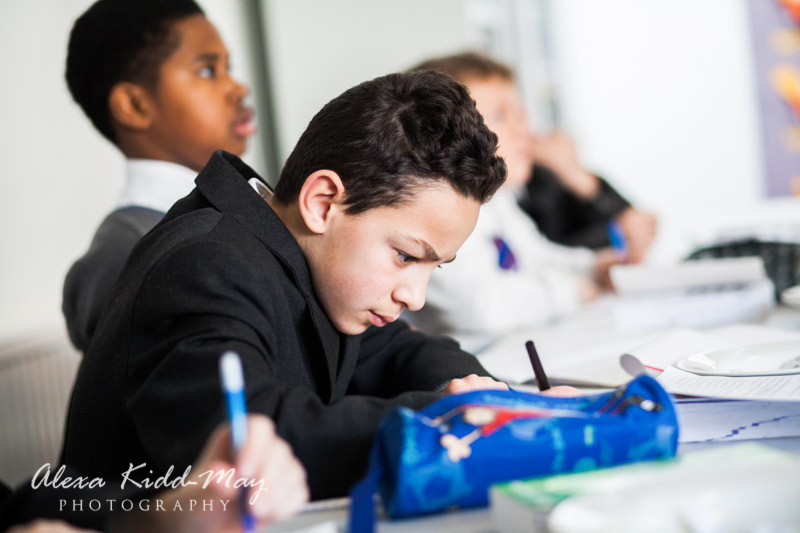 I was also impressed with the quiet and orderly way the boys lined up to collect their lunch from chefs, who seemed to know them all by name. 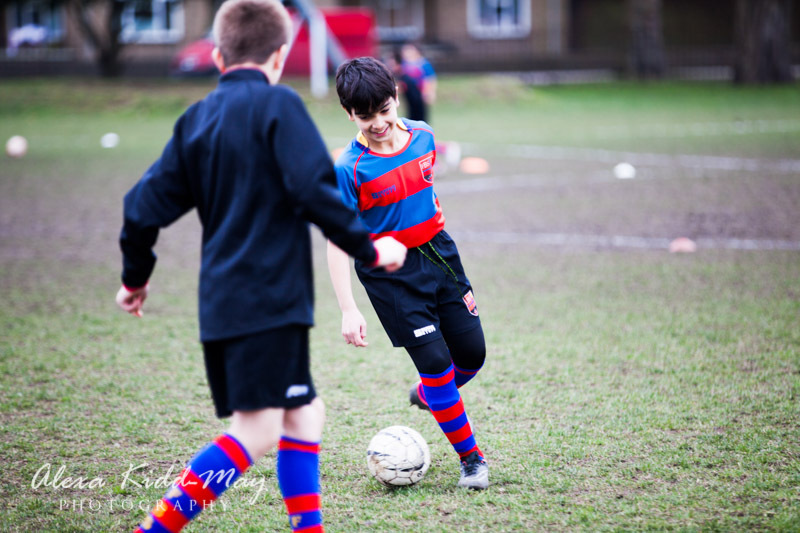 The school is also committed to giving the boys a healthy amount of sport. 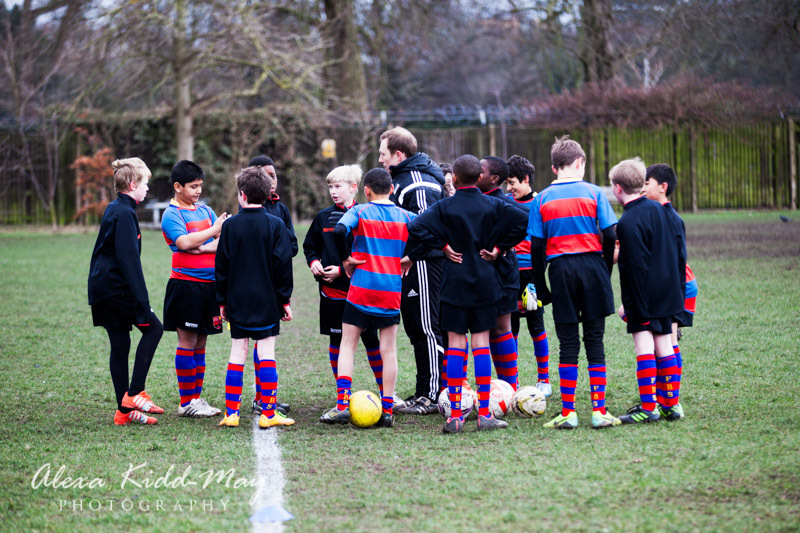 Some morning routines in the gym were followed in the afternoon by football practice in Hurlingham Park. 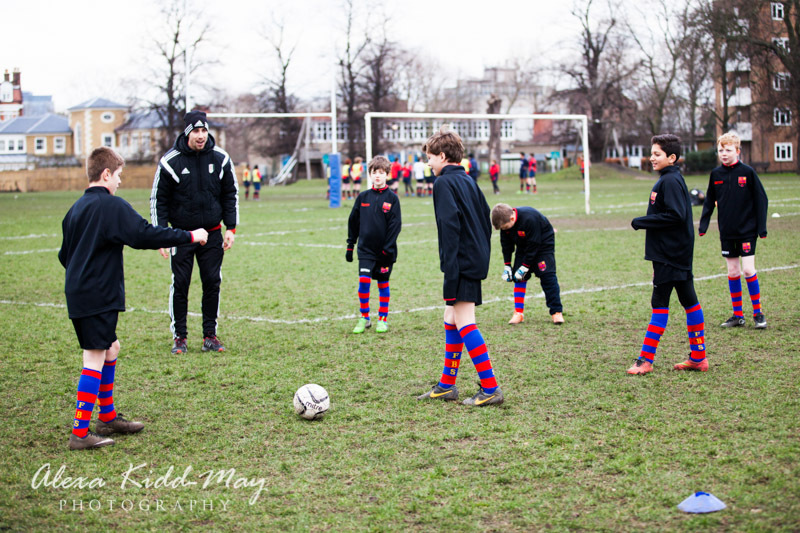 I was able to get a few action shots of the different activities under the watchful eye of the head of sport. 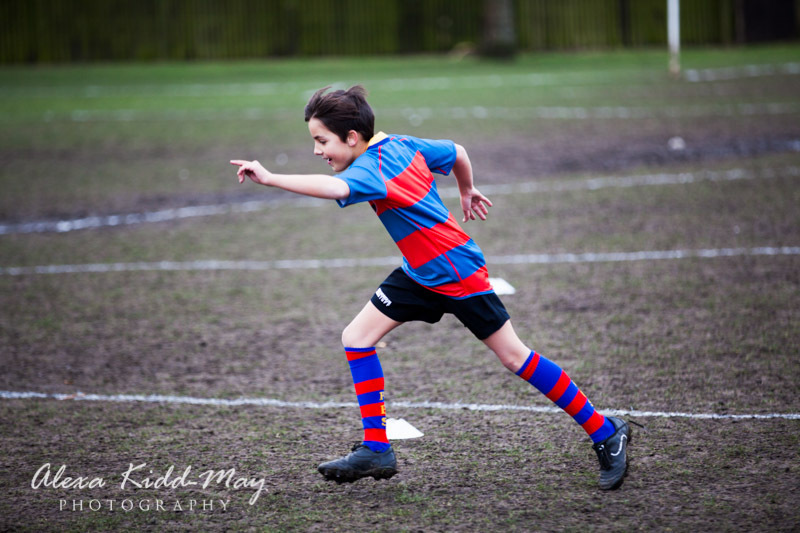 I love the colours of the sports kit. 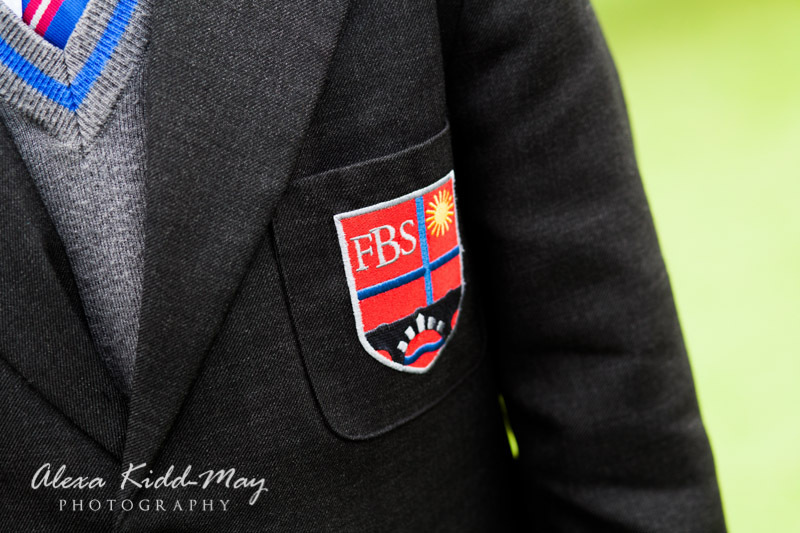 Not only does it look really smart on the boys, but I also knew it was going to look striking in the photos! 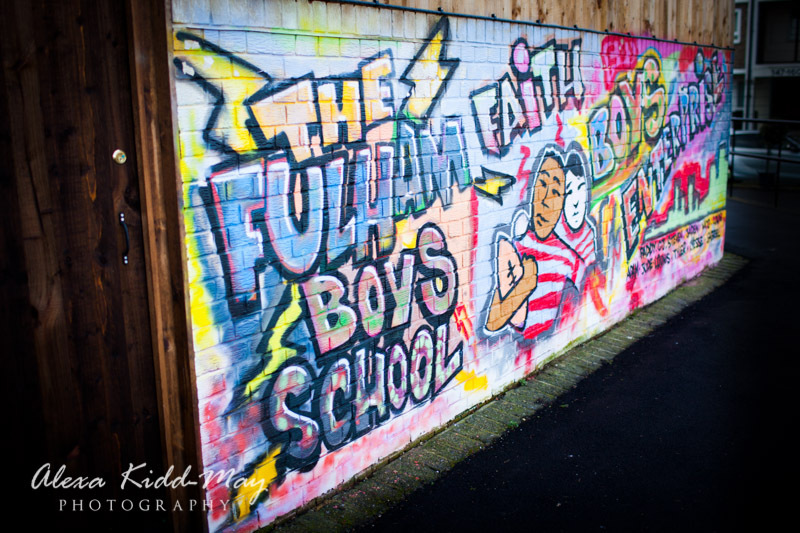 I really enjoyed my day as a London Schools Photographer, taking school photographs with the Fulham Boys. 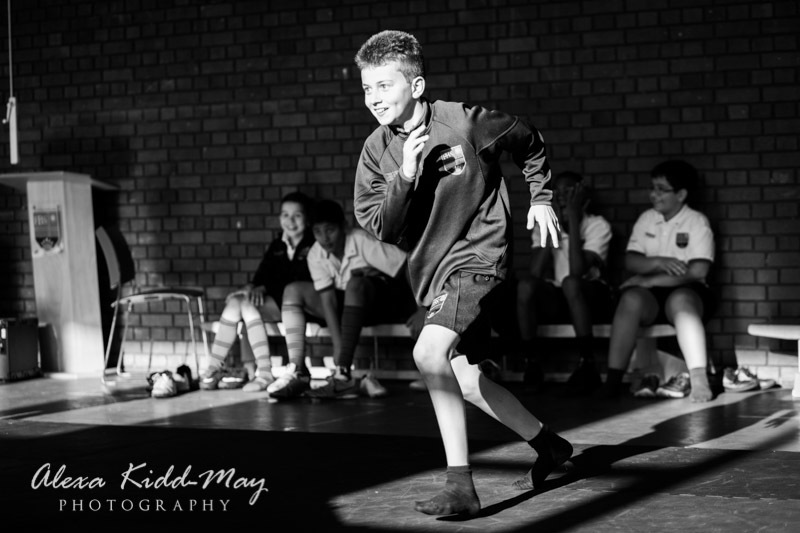 Here is a selection of my favourite images from the day.